This is for my friend from Uni...we took an art degree together. and a few punched butterflies to finish it off. This image is from Pink Petticoat... I just love the chandelier! and a few gems for sparkle. I made this in pink and brown. 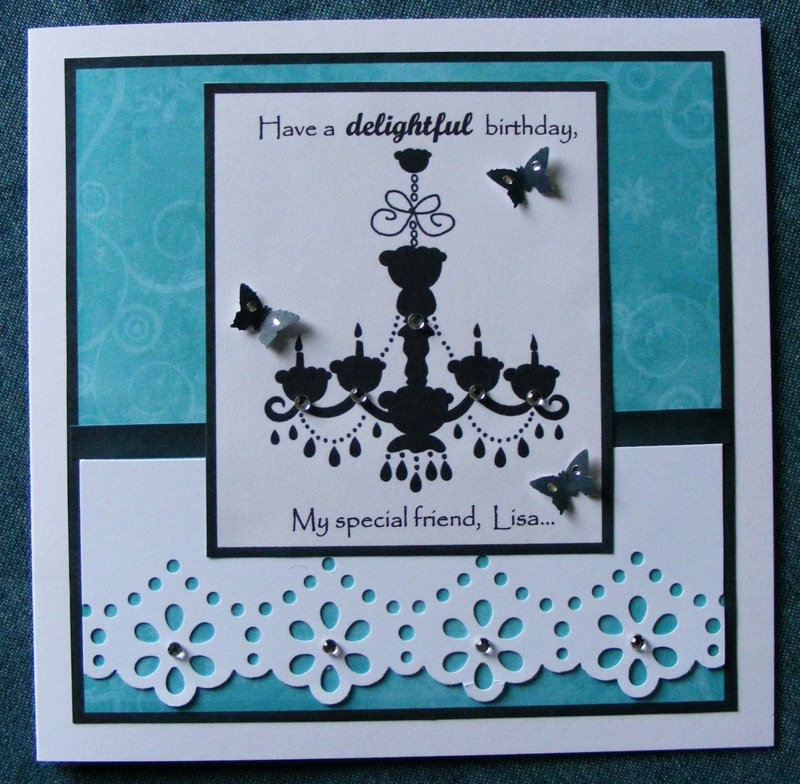 Love those Chandelier cards - very classy! 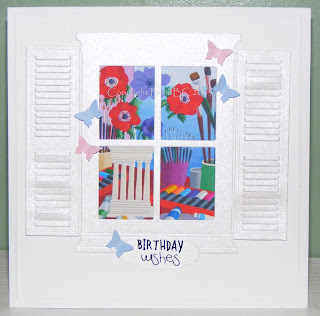 Beautiful set of cards.Happy blog hopping. 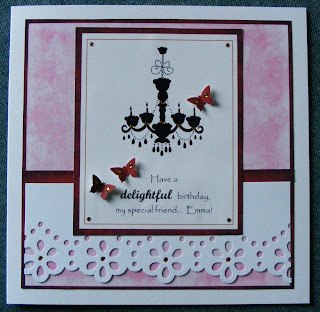 Three really pretty cards and I bet your friend loves the one you have made for her. 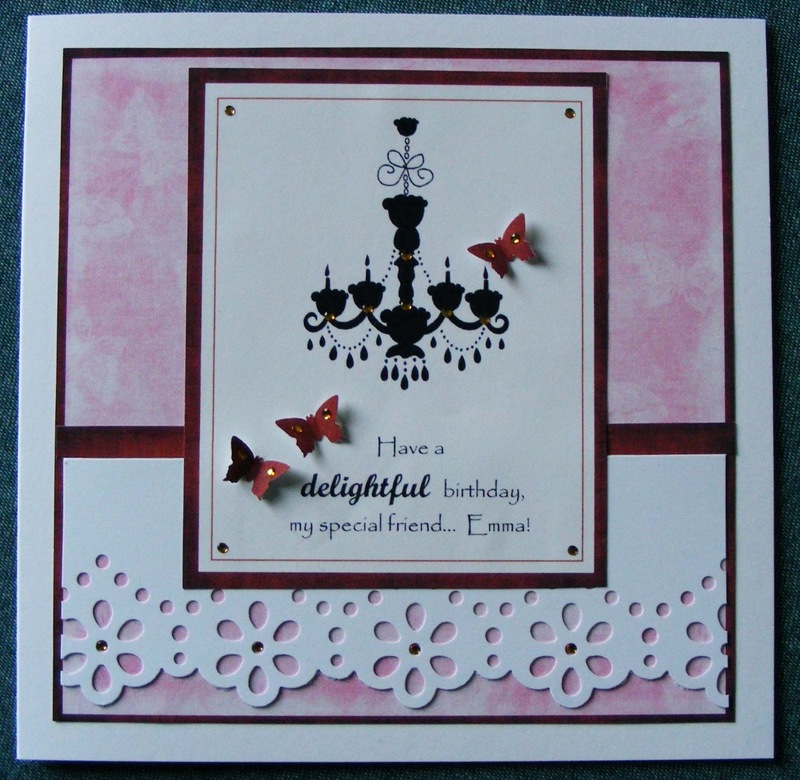 Love the chandeliers - the little butterflies are a great touch to finishing the cards off. 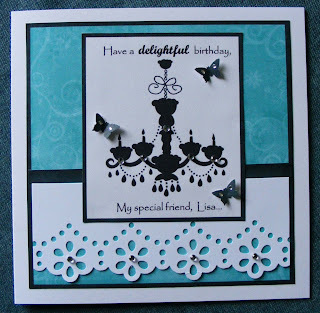 I LOVE the chandelier cards, they look so elegant! Fab cards, love the tiny butterflies on the bottom ones. Just doing a bit of docrafts blog hopping.